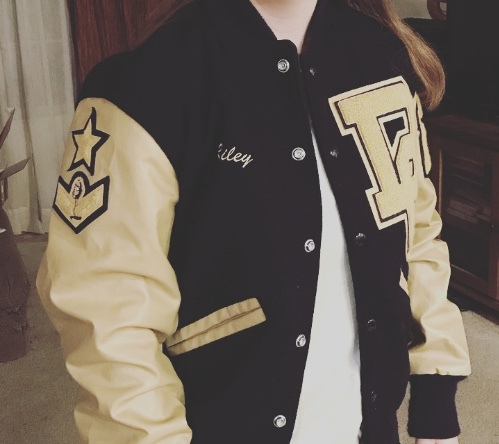 Riley took up high school gymnastics mostly because she wanted a letter jacket. She even paid for half of it and earned the other half....she wanted it that badly. I picked it up last week and it was 89 degrees outside. She wore it to school the next day when it was 87. Finally, today, it is letter jacket weather! Also, check out that fancy "Team Captain" star.